The title doesn’t quite work but I wasn’t going to miss the opportunity of including a song by The Jam on my ‘Blog Title Soundtracks‘ page. At the end of January I was invited to a meeting with Executive Head Josie Milton and Year 3&4 Classteacher Lorna Denholm to discuss plans for World Book Day, and beyond, and I was looking forward to leading some drawing workshops at Titchmarsh School again. Yesterday, after a couple of days of preparation, I arrived armed and ready for another busy day and the children, as on previous occasions, worked with the energy and enthusiasm I’ve now come to expect from this very good school. 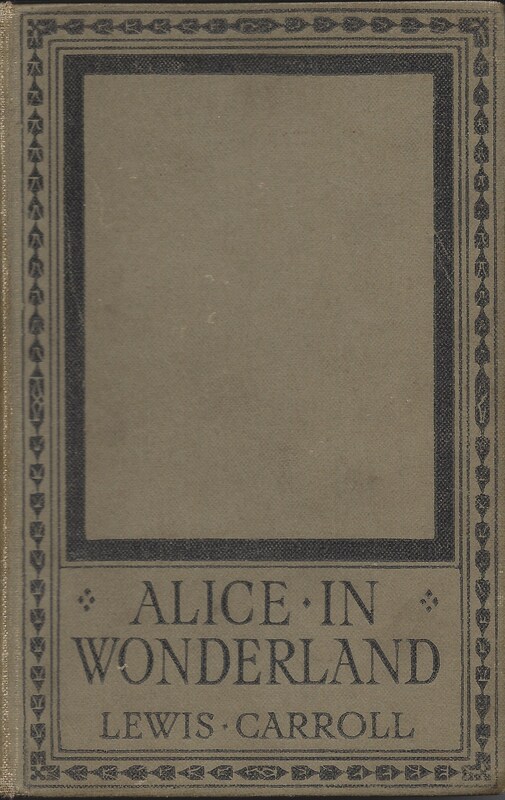 I carried my treasured copy of ‘Alice in Wonderland‘ by Lewis Carroll under my arm. It once belonged to my Dad, a book he won as a prize when he was a child. He loved the story, as do I, and the surreal storyline I’ve no doubt will be popular for many years to come. It describes such a curious world where the oddest things can happen. It therefore came as no surprise at all to be met at Reception by Eeyore and to be then taken to a classroom where the teacher was a Cat in a Hat. The children were dressed as a veritable collection of characters from Harry Potter, Snow White, Beauty and the Beast, Superman, Peter Pan, The Chronicles of Narnia, Winnie the Pooh, Treasure Island, Where’s Wally? and a host of other popular books for children. Had I been more prepared I could have disguised myself as Charlie Small‘s eccentric art daubing uncle. The subject of my workshop was the opening lines of Chapter VII of ‘Alice in Wonderland’, ‘A Mad Tea-Party’. “There’s plenty of room!” said Alice, indignantly, and she sat down in a large armchair at one end of the table. Using a combination of pastels and charcoal, five groups visited my ‘studio’ in the school hall during the course of the day to produce interpretations of the characters and ingredients within the scene. Rather than different year groups, the children were divided into their ‘Houses’, each one comprising of 16-18 children ranging from the youngest in the school to the year 4’s. Following an introduction to the medium, each group then created an image relating to an element within the passage, the last group of the day producing two. The sessions lasted about 45 minutes and some very successful pieces were produced. My TA for the day was the Cat in the Hat, Lorna Denholm, who was a star. Thanks Lorna, I couldn’t have done it without you! Here are a selection of the outcomes from each of the workshops. Stage One of ‘A Mad Tea-Party at Titchmarsh School’ is complete. Stage Two follows next month.